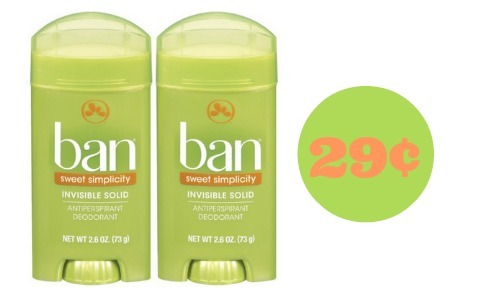 Here’s a fun deal at CVS to get Ban Deodorant for 29¢! Grab your $1 off coupon to pair with an ECB offer to get this deal. This deal start 12/4 so go ahead and grab your coupons! –like getting it for 58¢ or 29¢ ea.